London: A social organization – Confluence Foundation organized 3 day event Presenting Bharat Conclave In London between November 24th-26th under the leadership of Smita Srivastav Chairperson and founder of confluence. The event was handled by ITW Playworx UK office by Ankur Sharma and MahendraSinh Jadeja the Chairperson of Confluence UK Chapter. Next day both Confluence Chairperson Smita Shrivastav and Inspiring Indian Women Organized an event on the vision and mission to promote ‘Make in India’ and Cancer Survivors. It was a fashion show titled- Aavaran 2018 with renowned designers like Rina Dhaka, Chorographer Sandip Soparkar, Madhuri Barman, Kanchan Sabharwal, Jagruti Sanghavi, Asma Gulzar, Dhruv Segal, Kappil Kishor with AAFTian Srishti Kaur Miss teen Universe 2017.. 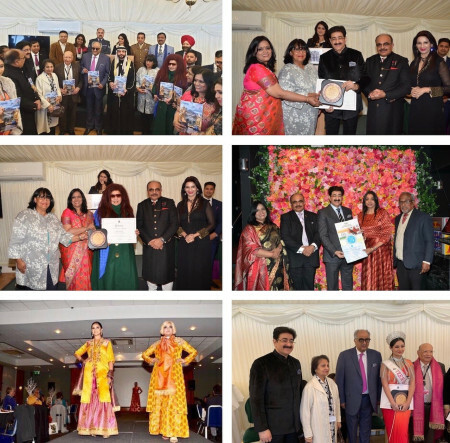 This event concluded with the excellence Award Ceremony at Churchill Hall of House of Common in British Parliament in London.